We understand that experiencing water damage is a traumatic experience – whether this is your home, your business, your institution or your commercial/industrial property. But rest assured that you have selected a recognized leader in this industry. CRM Services has the size and resources to be a single-source contractor. Minutes count when water invades your property. You can call our 24/7/365 Emergency Response Hotline 678-540-8606. Or you can click on the LIVE CHAT button in the corner of this page anytime day or night for assistance from a real person ready to take action. We’re at your property ready to help usually within one hour of contacting us depending on location and breadth of resources needed to address your disaster challenges. Invasive water must be removed immediately. Delay is dangerous in so many ways. 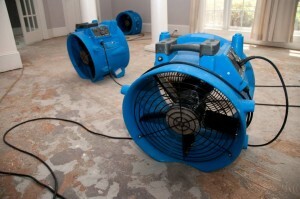 Plus so much water damage is hidden, and only expert professionals with advanced equipment can find and remove hidden water, and do a rapid dry-out before toxic mold colonies grow or structural damage can begin. Find out more about our Emergency Water Removal services. It’s critically important to begin the cleanup process quickly. Chemical and biological contaminants in the flood waters, mud and silt must be removed. Needed demolition and inspection of walls and floors where hidden moisture is suspected must begin. Dangerous debris and water-damaged building materials must be removed so that dry-out can begin ASAP. Here’s a good summary of the flood cleanup steps when you experience a flood event of any size. Toxic black mold colonies can begin growing in only 48-72 hours after a flood event of any size. So it is crucial that mold remediation begin quickly. We will conduct a thorough mold inspection to identify potential areas of mold damage concern. We will conduct environmental mold testing if needed and provide a remediation plan at the lowest cost possible. CRM Services is a full-service construction company with the expertise and experience to renovate and rebuild whatever is needed – including providing creative input to not just restore, but also to improve on pre-loss conditions. Everything we do is focused on taking quick action to prevent secondary damage, and get you back in business – reducing your downtime and loss. And no restoration company does it as professionally or cost-efficiently. For a Free, No-Obligation, No-Hassle Estimate, call our 24/7/365 Emergency Response Hotline… or click on the LIVE CHAT button on this page for 24/7/365 assistance from a real person.